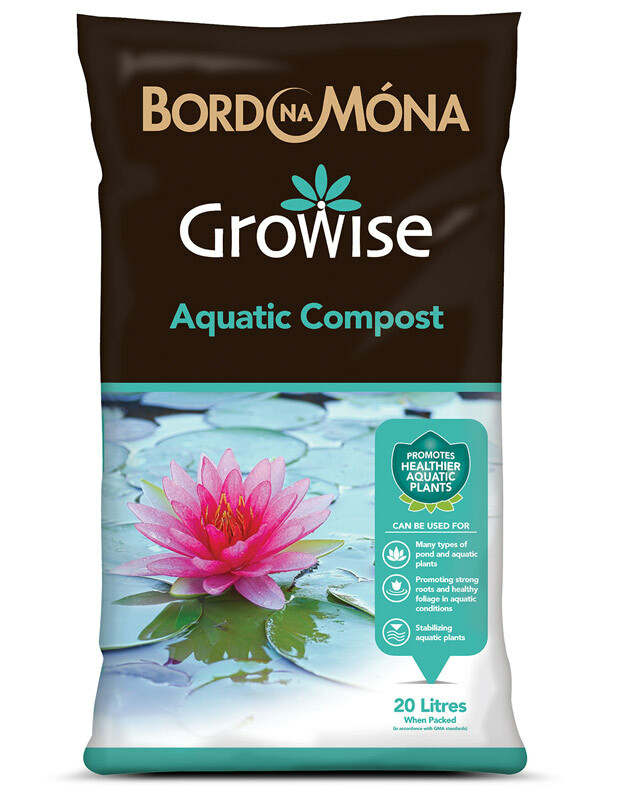 Bord Na Móna Growise Aquatic Compost is specially formulated for planting in water, encouraging strong growth and plants to flourish. It contains grit and sand to stabilise pond plants, and for ease of planting. It is suitable for many types of aquatic plants. Take a suitable pond mesh container (aquatic basket) of a similar size to or just slightly bigger than the original plant. Line the mesh container with a suitable liner. Half fill the container with aquatic compost, position the plant in the desired place in the pot and fill compost around the plant, tapping gently to remove larger air pockets. Gently firm the compost around the plant, adding more if necessary. Add a thick layer of horticulture grit( washed lime free) to the top of the pot, to prevent the compost from floating. 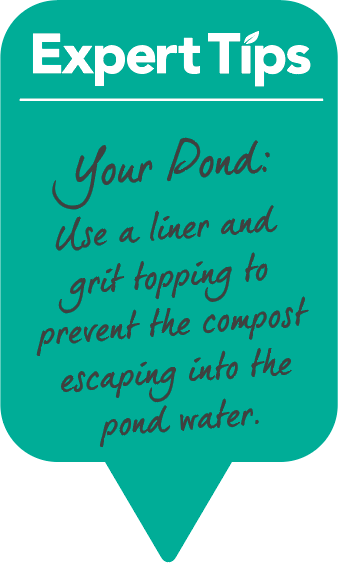 Slowly submerge the filled pot in the pond to allow slow absorption of water.